Our friends at 100.3 The Bull are doing it again! The biggest one day Country Music event of the year is coming to House of Blues Houston on December 4th and all proceeds benefit Lone Survivor Foundation. 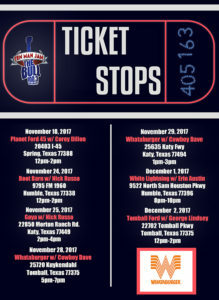 You can’t buy tickets – you can only win them by listening to 100.3 The Bull and showing up at Ticket Stops! Cody Johnson, Midland, Gary Allan, Old Dominion, Lee Brice, Michael Ray, Kip Moore, Chris Janson, Aaron Watson, Dustin Lynch, and a surprise performer that will be announced the night of the show. 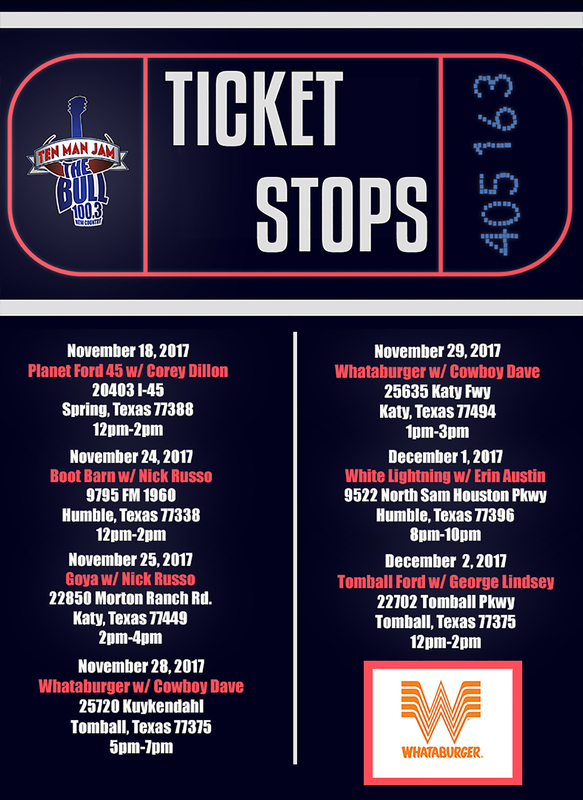 Listen to 100.3 The Bull or visit any of the ticket stops below and we’ll see you at this year’s Ten Man Jam!